The video showed a swimming coach flogging a teenage girl in swimsuit with a strip of cloth by the side of the swimming pool on the premises. The club ordered its own inquiry after the video went viral on social media. The Gujarat women and child rights commissions issued separate notices on Saturday to a club in the city over a viral video showing a swimming coach flogging a girl. 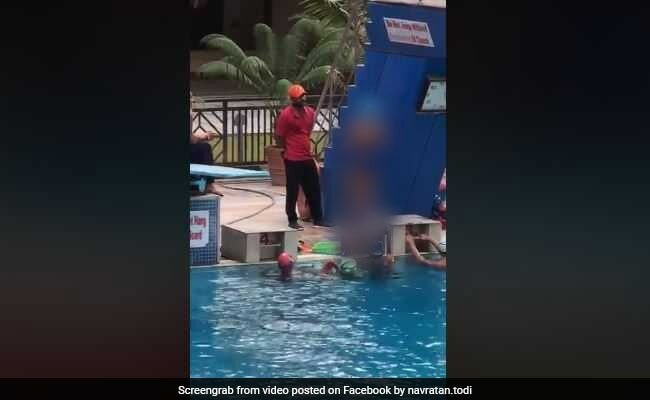 The video, apparently shot by a member of the city-based Rajpath Club, showed a swimming coach flogging a teenage girl in swimsuit with a strip of cloth by the side of the swimming pool on the premises. "The matter is highly deplorable. Chairman of the club as well as the head of its women committee and the coach have been asked to come in person within a week and submit their replies," chairperson of the State Commission for Women Leelaben Ankoliya said. The commission has also sought police investigation into the matter and written to other clubs in the state to find out if they have women committees (which are supposed to protect the rights of women in such institutions) in place, she said. Gujarat State Commission for Protection of Child Rights has also issued a notice to the club over the issue, commission chairperson Jagruti Pandya said. "We have asked the club to furnish a reply. The district child protection officer was sent to the club yesterday to get details and submit a report," Ms Pandya said. While the parents of the girl had said on Friday that they had no complaint against the coach, the club ordered its own inquiry after the video began to do rounds on social media. No police case has been registered in the matter.